In some areas, particularly in Mashonaland, we are funding the continued education of farm orphans who were effectively the residue of the farm takeovers. We have certainly not been able to support them all, but there are several groups that we have been able to fund for more than ten years. Some of these youngsters are reaching the top of the academic ladder at their schools and are writing their A levels. 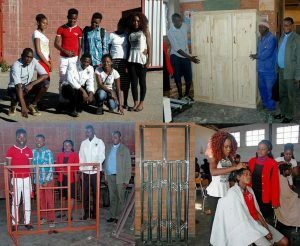 Others have completed training courses at St Peters, Kubatana in skills such as metalwork, woodwork, building and hairdressing. All have now completed those courses and are now out, each of them with a starter kit, to get themselves off the ground commercially. 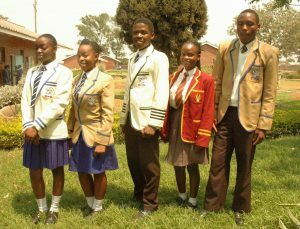 This year, 2018, eight of these youngsters finished their A levels and have all gained entry into colleges to undertake tertiary education. We are really pleased as these young people have had a very challenging life until now. This is going to cost £36,000.00 for the four years, and we very much hope you will be able to assist us in helping them to make such an important start in their lives. To learn more about each of these very courageous and determined young people, what they are trying to achieve and how you can help us to help them, please follow this link to a PDF. In 2016, 12 of the pupils we sponsored finished their O levels with very few passes, mainly owing to the extraordinary amount of time, years in fact, that they had missed out in their education. 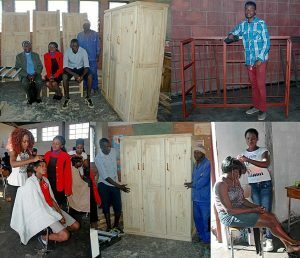 we determined that we should find a way to assist them, and we sent them all to St Peters, Kubatana to gain skills as tradespeople so that they could go out and earn a living for themselves. They concentrated on welding (windows and doors), woodwork, building, mechanics and hairdressing. This was a very successful process and all of them passed out with a certificate, and each was issued with a starter kit so that they could make a go of earning a living out in the world. All were very happy with the extraordinary assistance they had received from ZAWT over the years of their education. In 2017 I visited some of them, a year after they had left St Peters, and some, though not all, were earning a living. The girls were all generating a good income from working as hairdressers. 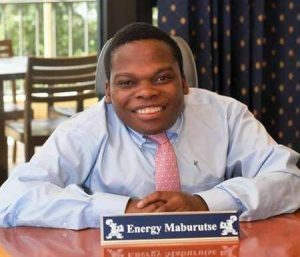 It is with great sadness that we alert you to the death of Energy Maburutse. We heard only recently that he had died in February last year after four amazing years of studying at Lynn University in the USA and achieving a degree in Political Science and Communications. Energy was focused on removing the deeply ingrained stigma attached to being disabled in Zimbabwe and to reminding us to focus on that which really matters. He died on a visit home to see his family in the Honde Valley in Zimbabwe, the first in 4 years. Whilst there, he developed a bad cough and was admitted to hospital where he died, his condition compounded by his brittle bone disease (Osteogenesis Imperfecta). In 2015, Energy delivered an excellent speech at the United Nations in New York at the Annual Millennium Conference in which he encourages others not just to give, but to empower young people in Zimbabwe and give them the grounding to move forward with confidence in the future. His speech at the United Nations is it at this link.